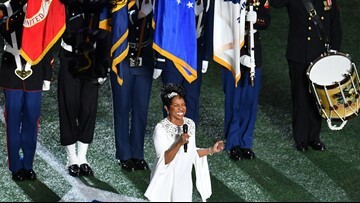 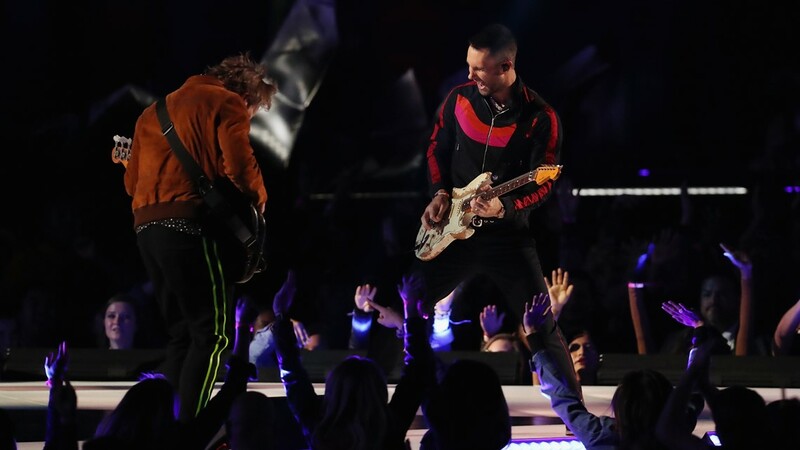 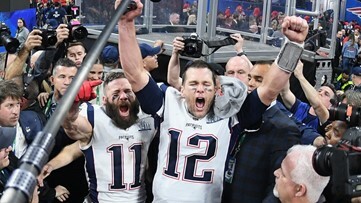 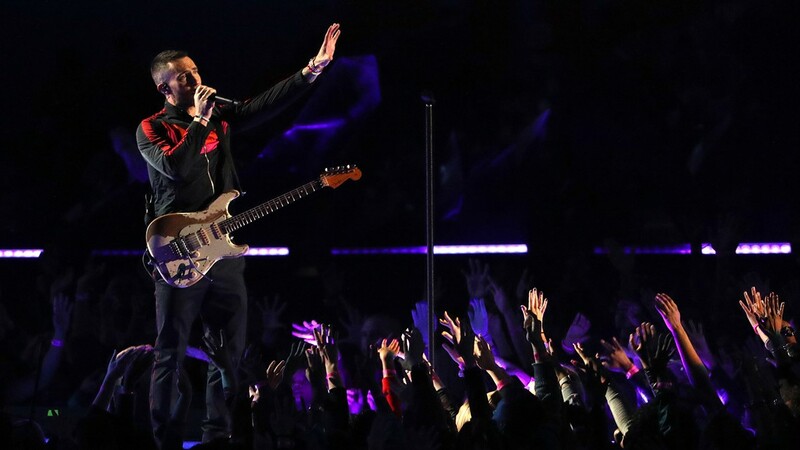 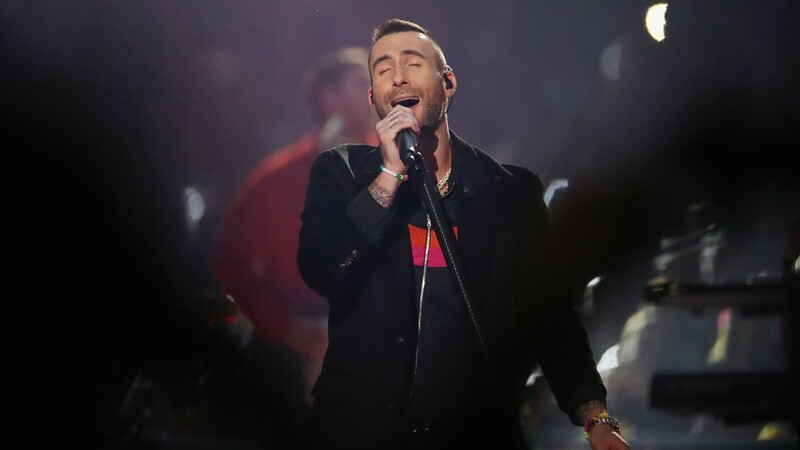 Adam Levine and Maroon 5 perform during the Pepsi Super Bowl LIII Halftime Show at Mercedes-Benz Stadium on February 3, 2019 in Atlanta, Georgia. 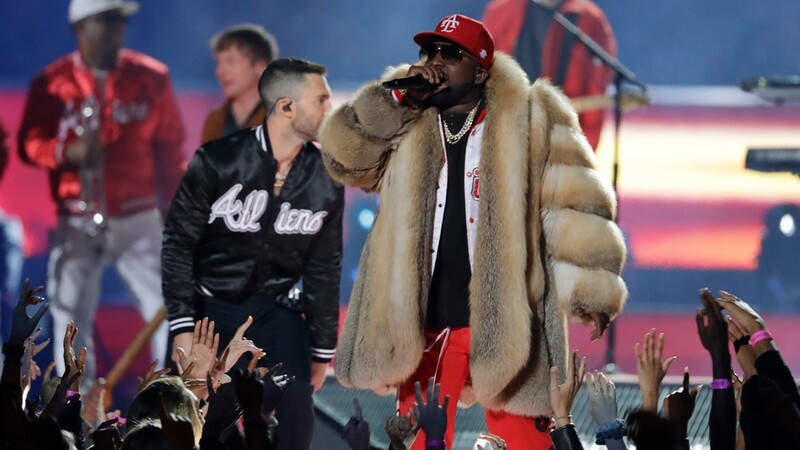 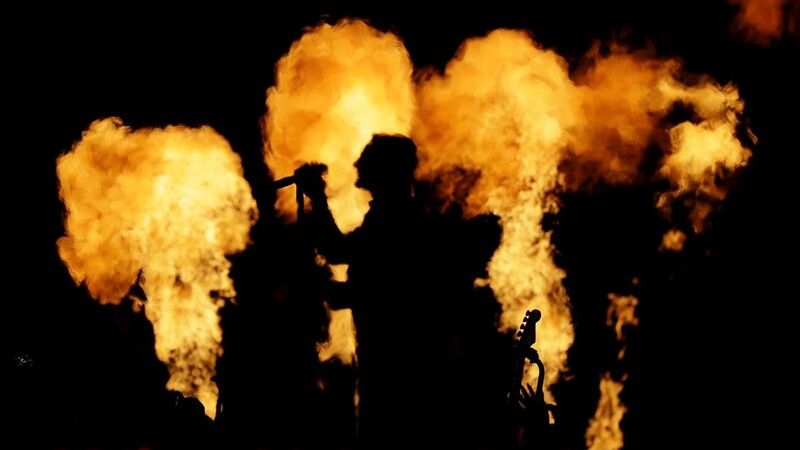 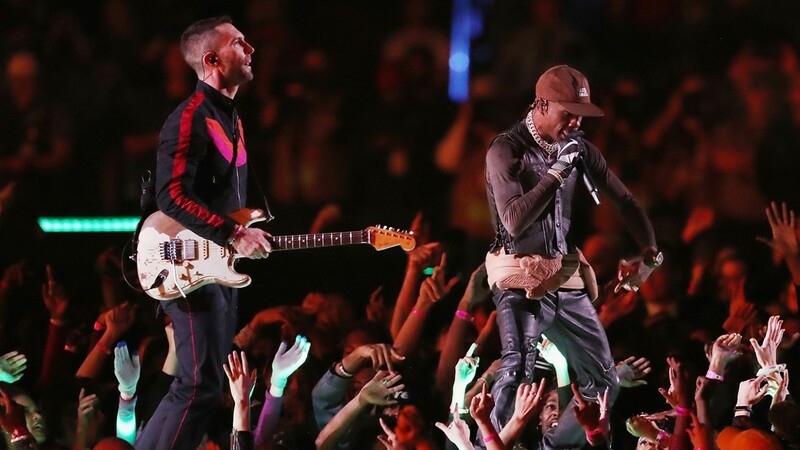 Travis Scott (R) performs with Adam Levine and Maroon 5 during the Pepsi Super Bowl LIII Halftime Show at Mercedes-Benz Stadium on February 3, 2019 in Atlanta, Georgia. 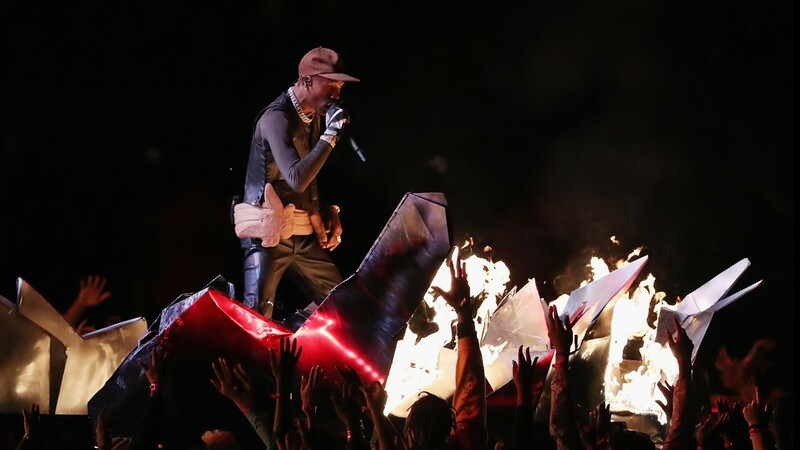 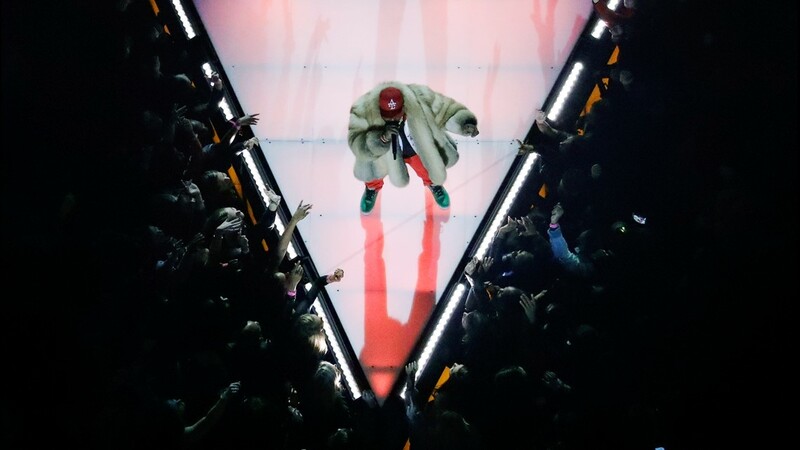 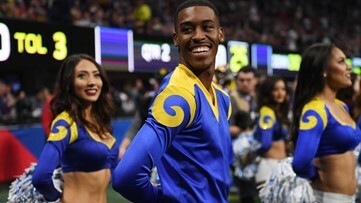 Travis Scott performs during the Pepsi Super Bowl LIII Halftime Show at Mercedes-Benz Stadium on February 3, 2019 in Atlanta, Georgia. 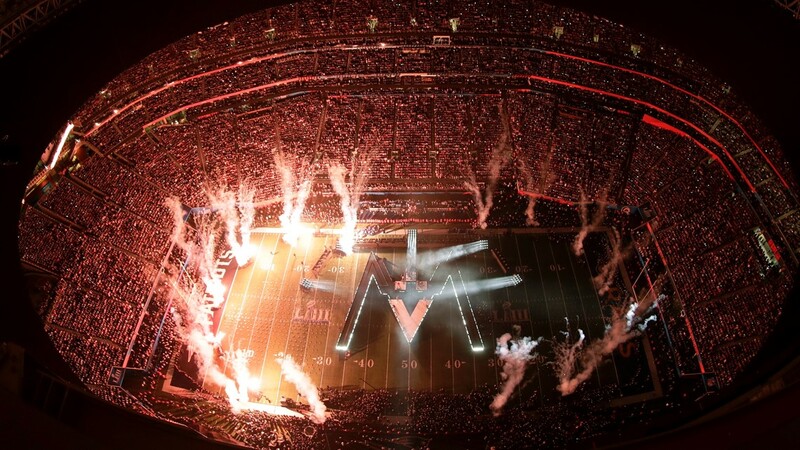 Fireworks illuminate the stage during halftime of the NFL Super Bowl 53 football game between the Los Angeles Rams and the New England Patriots Sunday, Feb. 3, 2019, in Atlanta. 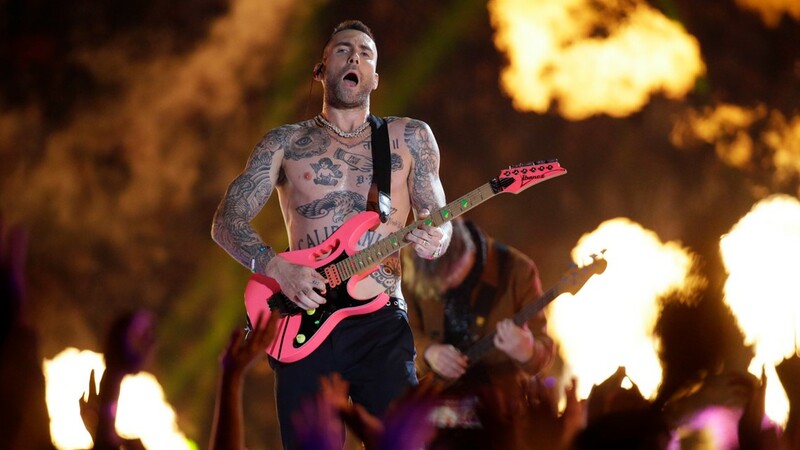 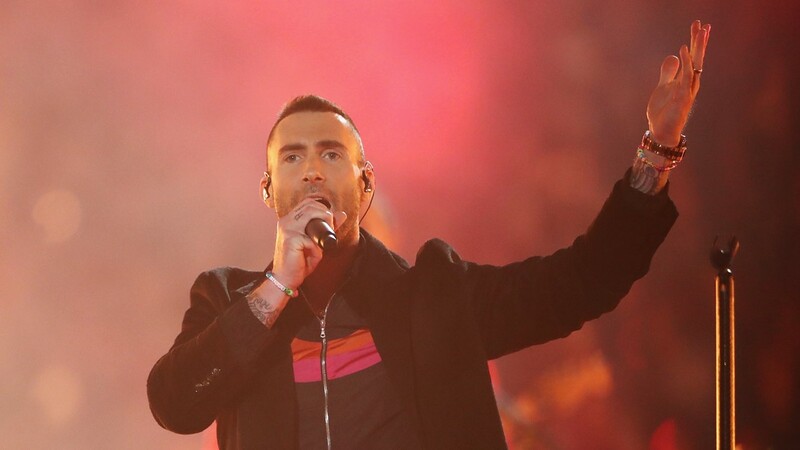 Adam Levine of Maroon 5 performs during the Pepsi Super Bowl LIII Halftime Show at Mercedes-Benz Stadium on February 03, 2019 in Atlanta, Georgia. 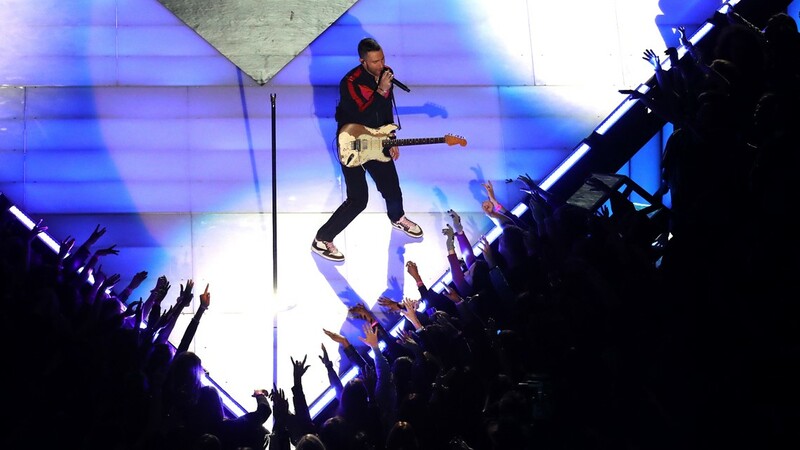 Travis Scott crowd surfs during the Pepsi Super Bowl LIII Halftime Show at Mercedes-Benz Stadium on February 03, 2019 in Atlanta, Georgia. 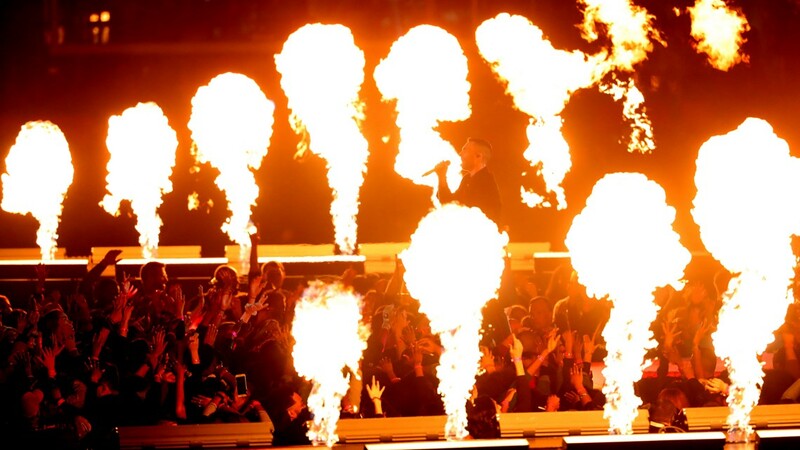 Travis Scott is carried by the crowd during halftime show of the NFL Super Bowl 53 football game between the Los Angeles Rams and the New England Patriots Sunday, Feb. 3, 2019, in Atlanta. 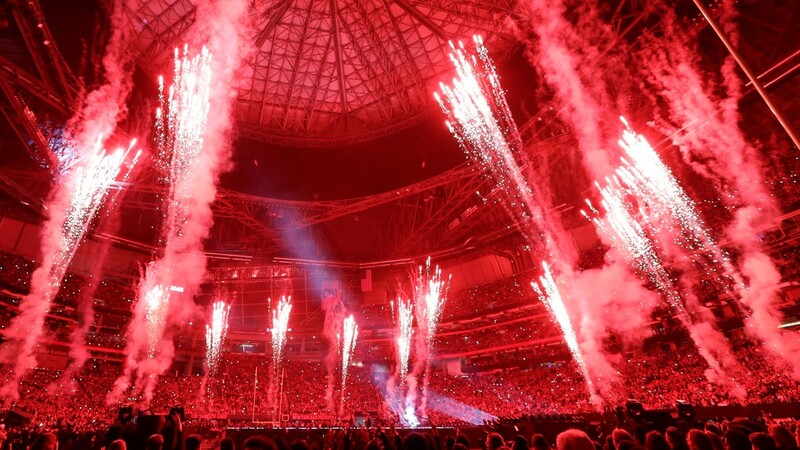 Fireworks go off during halftime of the NFL Super Bowl 53 football game between the Los Angeles Rams and the New England Patriots Sunday, Feb. 3, 2019, in Atlanta.